Our certificate of registration shows that STF Solutions Ltd operates a quality management system which has been assessed and is routinely audited as conforming to ISO 9001:2015 for the sale and maintenance of portable fire extinguishers in accordance with BAFE SP101 and the maintenance of fire detection and alarm systems. We are also accredited to SP203-1 for the maintenance of fire detection and alarm systems. STF Solutions Ltd must undergo a financial assessment to the Constructionline standard and satisfy Construction lines in-house accountants that we are financially viable and are unlikely to expose a buyer to undue risk of financial failure if selected to be invited to tender for works by potential client. STF Solutions Ltd must satisfy Constructionline’s accountants that our finances will support a certain level of trading. In addition, all Construction Line suppliers like STF Solutions Ltd are monitored daily for any changes in financial status. STF Solutions Ltd have a responsibility to make sure that we work safely, in order to protect staff and everyone who may be affected by the work being carried out and like the Safe Contractor scheme which we are accredited members of, CHAS, the Contractors Health and Safety Assessment Scheme is also dedicated to completing health and safety pre-qualification assessments to a nationally recognised and accepted threshold standard for companies like STF Solutions Ltd. 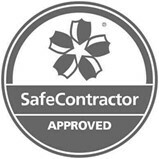 The Safe Contractor scheme is designed to review and audit the health and safety policies, procedures and documentation of contractors. Increasingly for many organisations, strict conditions are now in place where we are required to be part of a scheme such as safe contractor in order to show that we take health and safety seriously. These requirements are in place to ensure that we demonstrate compliance with current health and safety legislation. STF Solutions Ltd is proud to be member of the FIA. The Fire Industry Association, or the FIA as it is more commonly known, is a not-for-profit trade association with the aim of promoting the professional status of the UK fire safety industry. The FIA was born out of a merger between two longstanding and well-respected trade associations, FETA (Fire Extinguishing Trade Association) and BFPSA (British Fire Protection Systems Association). The Fire Industry Association certifies that STF Solutions Ltd is authorised to carry out the following activities: installation, maintenance or servicing, portable fire extinguishers and stationary protection systems containing fluorinated greenhouse gases. Launched in 1991, Investors in People is the UK’s leading people management standard. It specialises in transforming business performance through people. STF Solutions Ltd regularly reviews and revises where needed, our framework of best practice to ensure it reflects any changes within the company. That means consulting with customers and employees, conducting research to meet the needs of both employees and our customers.